Locally-made cocktails and supporting civil rights. Our kind of Sunday. 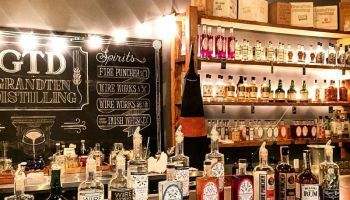 Join GLAD Forward for a tour of one of Boston’s hottest new distilleries and try some of their signature still-to-glass cocktails. Hang out with us in GrandTen’s game room and get to know some new friends. Plus, we’ll give you an in-the-know update on GLAD’s latest cases (including our lawsuit against Trump) and what’s coming up next. Your ticket comes with food and a drink on us.